Orthopedic surgery is a term that refers to any surgical repair of the bones or joints. Pets such as dogs and cats may require surgeries on the bones or joints as a result of illness, injury or genetic traits. Here at The Brentwood Animal Hospital in Pensacola, FL we offer orthopedic surgery to help a pet in need. What Conditions Do Veterinarians Screen For? What Are Some Issues That an Orthopedic Exam Can Address? During an orthopedic exam, your veterinarian can discuss different options for your pet along with the efficacy of different treatment options. During the exam, our veterinarian determines if your pet is a good candidate for surgery based on its current health and wellness. What Are Some Common Problems Treated With Orthopedic Surgery? Some common issues pet owners might notice include limping, pain when walking, deformities, weakness in the joints and other problems that make walking or moving difficult for their pets. Orthopedic surgery treats joints, bones, and tendons. With an experienced surgeon, pets can recover well following surgery and regain movement and support once lost. How Can a Veterinarian Help After the Surgery? After surgery, your pet will need to remain calm and restful. There is an initial rehabilitation period of around two weeks that will have restrictions on how much your pet walks or exercises. Your pet won't be able to walk around or engage in physical activity. It will be up to the pet owner to keep the pet relaxed and to prevent it from getting up and moving around. After two weeks pass, veterinarians typically loosen restrictions to allow for limited activity. 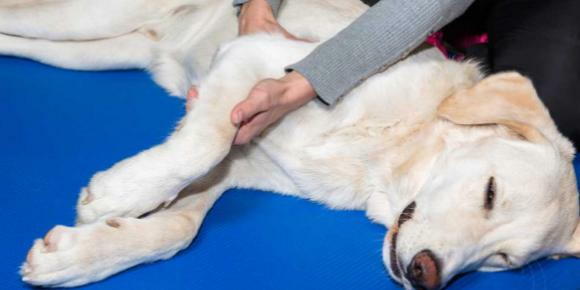 Following around four months of limited activity, pets may enter physical therapy for further recovery. Veterinarians can help by giving pet owners ideas on how to keep their pets relaxed during the initial two-week period onward. Certain medications may be ordered to calm pets. Veterinarians also monitor the pets' pain levels, making sure they are comfortable whenever possible during recovery. Contact The Brentwood Animal Hospital For Our Orthopedic Treatment Plans! No pet should have to be in pain, and orthopedic surgery can help resolve problems that prevent your pet from living with a high quality of life. Learn more about your options online by visiting us at brentwood-animal-hospital.com, or call us today at 850-434-2646.